TORONTO - R.A. Dickey held the LA Angels to 2 runs for 6 2/3 innings and the Jays defeated their foes 7-2. 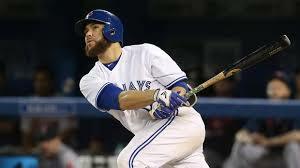 Russell Martin playing the DH role went 3-3 and drove in a pair of runs. The Jays have a record of 71-54 which is identical to the Boston Red Sox.